Hello everyone! My name is Missy or Missy Moo as they call me here at Pixie. 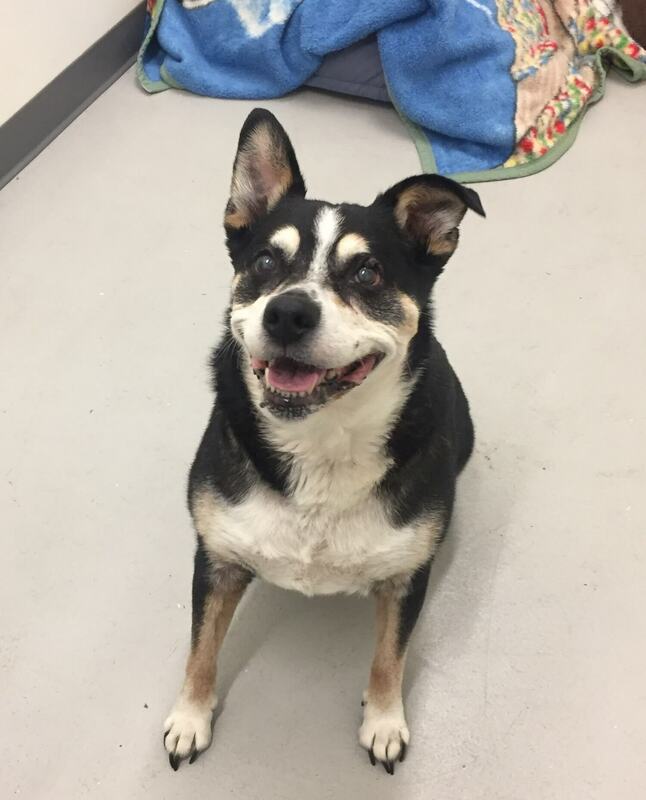 I am a 12 year old adorable cattledog mix. Weighing in at 67 lbs, I am big love who is the downright friendliest pup you will ever meet. In fact, every morning during my potty walks, I am always eager to rush over to all the people on the sidewalk to give them a big smooch! Skateboarders, other dogs, people of all ages, and even those kitties too-I just love living life and meeting new friends along the way. 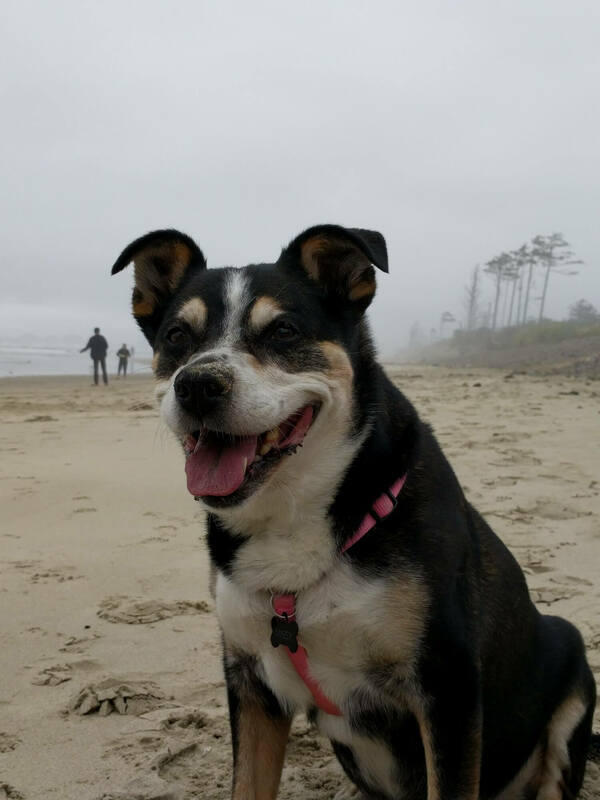 Though I am a bit older, I am still very spunky and enjoying going on walks, short hikes, and as you can see, beach time really puts a smile on my face! After all the activity and adventures, I am ready to snuggle with you and any other furry friends who want to join. Happy go lucky should literally be my middle name as I don’t think it is even possible for me to sad. Life is just too awesome! And I would love to share it with you! Fill out an application today, so we can meet. I come to you vaccinated, micro-chipped, and spayed with an up to date dental and an adoption fee of $350.